The Cromwell very large Gothic 18 light bronze cartwheel chandelier, hand finished in a unique aged bronze finish, with matching candle tubes and metal sconces. A huge, handmade wrought iron 2-tier cartwheel chandelier, with 12 lights on the lower tier and 6 on the top. This is a very large chandelier that will require plenty of space and ceiling height. Height adjustable at the time of fitting by removing chain links to suit, please see the technical information for exact dimensions. 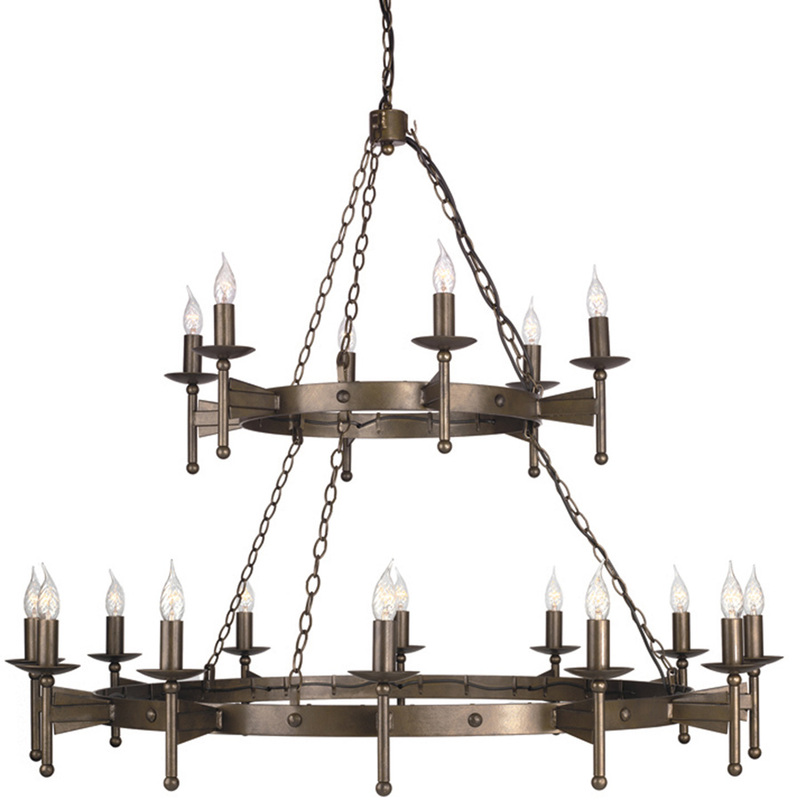 The Cromwell very large Gothic 18 light bronze cartwheel chandelier, designed and made in England by Elstead Lighting.